Buying properties in Philippines is not only profitable, but also interesting! The Philippines have a high standard of living and a calm political situation, and the picture is complemented by a comfortable climate and a certain exoticism of the region. It is interesting that this is the only Christian country in the Southeast Asia. Properties in Philippines have the quality at the European level and the most popular options for real estate are focused on the ocean coast. Local real estate brings significant income to the owners from renting, if they’ve had properly selected the object and its location. Mostly – in tourist regions, as in recent years the flow of tourists into the country is growing, respectively the tourism business is also developing quite well. The cost of housing in the country is comparable to European counterparts, but often can be found prestigious real estate on the coast, which are several times cheaper than in Europe. Many foreign investors have already made their choice in favor of the Philippines, due to prices that are not only available but also quietly rising, which guarantees a safe investment and a profit in case of resale. In addition, the country’s proximity to Japan and Singapore is very profitable from a business point of view, giving great opportunities for successful business. The wide variety of offers in different price categories is a great advantage of the real estate market in the country - there are modest properties from the owner in the form of standard flats, or luxury apartments overlooking the sea in new developments, there are also luxury villas for sale with lots of space, all the trappings of luxury, including swimming pools and rooms for servants. If you want peace of mind – there are villas in quiet places along the coast, or even on the islands, which are on a rather reasonable distance from the capital city of Manila. Many foreign retirees have chosen the Philippines as a place of restful stay in a warm country. The capital - the epicenter of the cultural, economic and business life of the country, so the apartment there - also an excellent purchase. 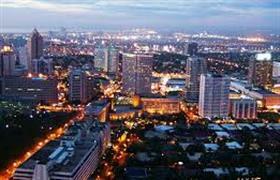 Buying of property for foreign investors in the Philippines is not difficult. The only limitation - a ban on the purchase of land - can be arranged only by a long-term lease. There is also a limitation for foreign investors in the area of the acquired real estate.